Girl Kuripot Girl Kuripot: Win a Trip for 2 to Boracay! Here's a chance to win a trip for 2 to Boracay! Like the Philippine Hotel Reservations Office (PHRS) Facebook and Twitter Page. Post your beach photo and answer why it's your favorite photo. Entry submission ends on June 5, 2011! 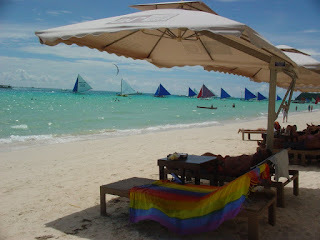 Click here to win a trip to Boracay.